"It is the cradle of life and love, the place in which the individual is born and grows. This is the task of a parish." At the heart of every parish is a community, connected through daily events, worship and education. My Catholic Faith Delivered’s mission is to provide parishes with tools to minister to parish life by engaging parishioners with the latest technology. This platform is designed to fit in today’s tight parish budgets, while providing an incredible amount of features. Use a dynamic system to keep parishioners informed and engaged. 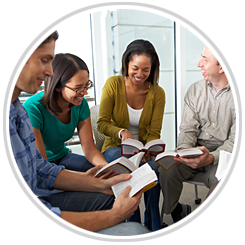 Collaborate in small ministries, study groups, or with the larger parish group. Send pastor communications from a private site, open only to parish members. Post videos and other materials to frame discussions. Create public and private groups to support various ministries or courses. Converse with members based on similar need. Connect with homebound parishioners to increase the sense of community. Schedule, manage, and track all aspects of live classes. Events can be included as part of a certification track or for other needs defined by the diocese. Live event tracking includes attendance and can be used with online courses to create a blended learning experience. Bring it all together with online collaboration to help participants prepare for each class meeting. Customize emails and announcements to be sent to all members of the parish, including information about live events. Announcements are also posted to individual user dashboards to provide multiple points of contact. Use a blend of features to build your community. 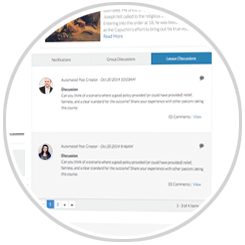 Customize existing content and rapidly deploy online classes that align with your outcomes. 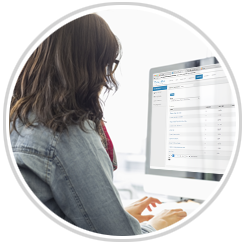 Create, manage and track requirements, combining online and in-person courses. 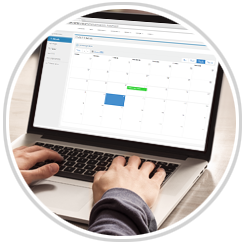 Schedule events and process registrations online, including offering a waitlist and tracking attendance. Offer additional education using a mobile device to record and post content for discussion. Share documents, links, and social media in a central repository that features permission controls. Sell products and take payment for custom courses and live event management. Create custom plans that guide users through various lessons and events of the learning process. Create dynamic, unique, and interactive learning that will engage learners of all ages.